There are too many Americans who can’t think straight anymore (if they ever could). They say stupid things that they believe are good arguments. Most likely they pass on somebody else’s stupid “argument” believing that it answers an intended objective. Unfortunately, these people are permitted to vote. A few years ago I wrote a book with the title Thinking Straight in a Crooked World. The ministry I’ve worked for since 1980 also published the book Biblical Logic: In Theory and Practice by Joel McDurmon. These two books would go a long way to help people learn to think in terms of adopted but sometimes unrealized presuppositions. Most schools don’t teach critical thinking skills. If young people actually learned to think critically, they might question the curriculum of their school. Strange, but people without guns rarely shoot anyone. The fact is, rarely do people who own a gun shoot anyone. Most gun owners — probably around 99.99 percent — never shoot anyone. In addition, we know that people without a gun to defend themselves are left defenseless when some evil person decides to go on a shooting rampage. Anti-gun advocates would most likely argue that if all guns were outlawed, these types of acts would never happen. Tell that to the Mexican drug cartels where (1) guns are illegal and (2) so are drugs. Let’s assume that nobody ever had access to another gun. What then? Timothy McVeigh didn’t use a gun to kill 167 people. Not a single bullet was fired in the Tate-LaBianca murders planned by race-baiting Charles Manson. The Boston bombers didn’t use guns. Strange, that people without pressure cookers rarely blowup anyone. No gun was fired on 9-11 but more than 3000 people were murdered. 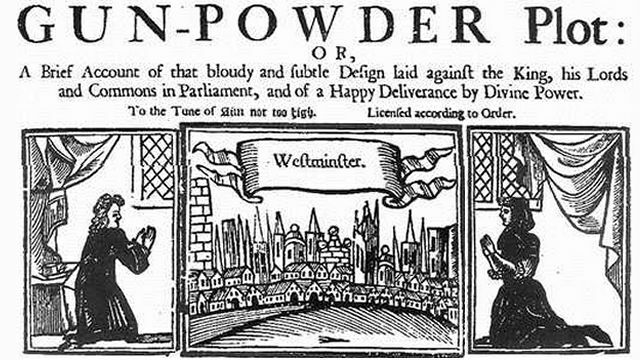 Then there’s the Gunpowder Plot of 1605. What did the perpetrators of the failed plot plan to use to blow up and kill the king and his heirs and members of Parliament? Gunpowder. When guns are outlawed (1) only outlaws will have guns and (2) people with evil intent in their heart will find other ways to kill and do harm.